This is part two of a three part series written specifically for Latter Day Saint men and women who are getting ready to go on a mission, who have already begun a mission, or who have recently returned from a mission. For those of you who are not familiar with the Church of Jesus Christ of Latter Day Saints, or its extensive missionary program, I want to invite you to learn more here. This post has not been endorsed or reviewed by the LDS Church and in no way constitutes official advice or statements from the Church. If you haven’t read part one of this guide, please check it out here for more background information on me and my mission. Part two of this guide focuses on tips for missionaries once they are in the mission field. As a explained in part one, a mission isn’t always what you would expect before heading out. There are great moments and there are difficult moments, but the important thing to remember is that you will get out of it what you put into it. 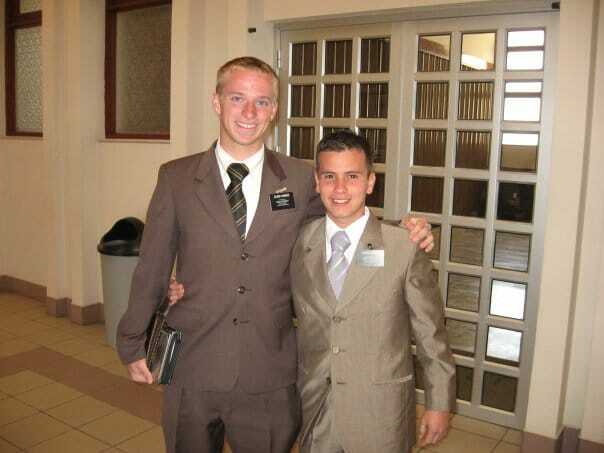 The following tips and advice are based on my own experience and what I wish that I would have know before going on my mission. Please remember that missions have different rules and schedules, so some of these may not be applicable. For those of you who are going to a mission where you will need to learn a foreign language, these tips are important and really helped me. 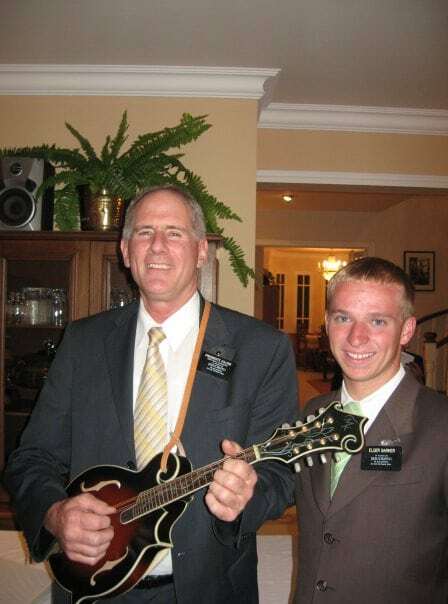 I served my mission in Bolivia, so I had to learn Spanish. 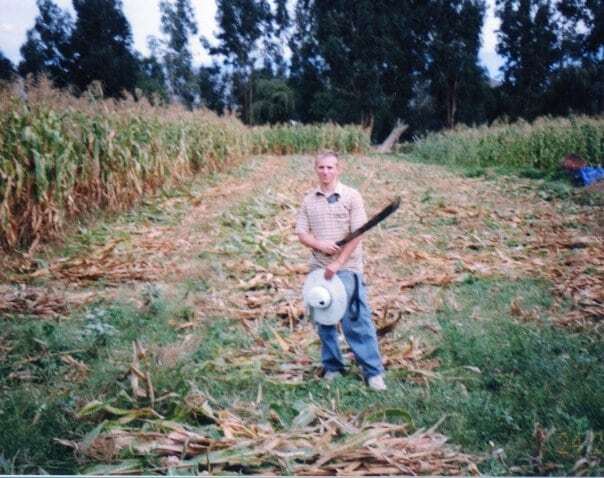 I spoke a little bit from my high school days, but not nearly enough to get by in Bolivia. I also had the opportunity to learn a small amount of Quechua, although I never really was able to speak or understand it fluently. Although all languages are different, hopefully these tips will help you as you learn what ever language you have been assigned to learn. In my mission, we were given 30 minutes every morning to study the language. I really tried to take advantage of that time to keep practicing what I had learned in the MTC. However, I had some companions, and I heard from other missionaries that really felt that the time was not necessary and that they could spend it studying other things or just taking a break. I strongly recommend that you use every minute of language study time to continue learning the intricacies of the language. I understand that it can seem monotonous practicing the same thing day in and day out, so the best thing to do is to mix it up a bit – try to do something new every day, or at least every day of the week. This can mean that you spend the whole 30 minutes reading the scriptures out loud in your mission language, writing out the words (or characters), or any other number of learning activities. If you really want to learn your mission language (and trust me, you do) then please use that time effectively. 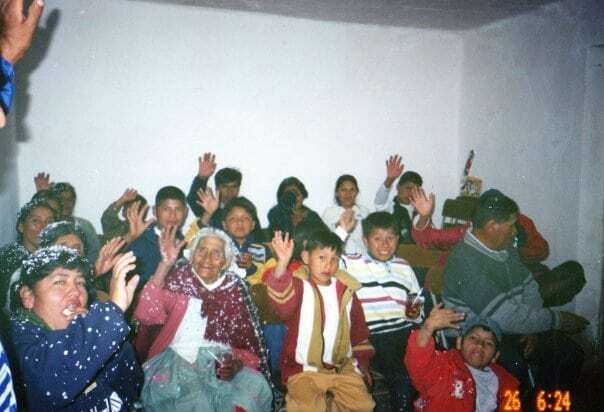 After about six months in the mission I felt pretty comfortable speaking Spanish and teaching lessons. I still ran into people that I couldn’t understand, and there were people that couldn’t understand me, but I felt like I had a good hang of it. It was tempting at that point to not really focus much on learning more Spanish and to just go with the flow. I knew many missionaries who did. It is a mistake to stop learning just because you feel like you can speak well. There is always something that you can improve on. For example, I felt like I could communicate well, read well, and even write pretty well in Spanish. However, I struggled with the pronunciation of many words. I decided that I wanted to focus on my pronunciation and that is what I did for a couple of months. Every day, I went through all of the literature that I had in Spanish and I practiced saying the words out loud – I noticed a huge difference and by the end of my mission many people were telling me that I didn’t even have a “gringo” accent. I suggest that you find something that you are weak in, and work hard to improve that and when you do, then you can move on to something else. Even after being home for 8 years, I still learn new things about Spanish all the time, and I have to constantly practice to make sure that I am not losing it. I’m going to tell you now – there is a very good chance that you will not get along perfectly with all of your companions. This is something that really surprised me when I got to the mission field. I was under the impression that missionary companions were able to get along pretty much all of the time, because the ones that I grew up watching never seem to show that there were any issues. After being in the mission for a short time, I realized that I was wrong. This doesn’t mean that you won’t get along great with some of your companions, or that you won’t get along with all of your companions at least some of the time, because you probably will. If you really think about it, it isn’t that surprising that when you put two people from completely different backgrounds, and in some cases cultures, that sometimes there are going to be issues. That being said, there are steps you can take to make sure that you have the best relationship with your companion possible so that the Spirit is with you when you teach. This may seem basic, but it is something that many missionaries forget. 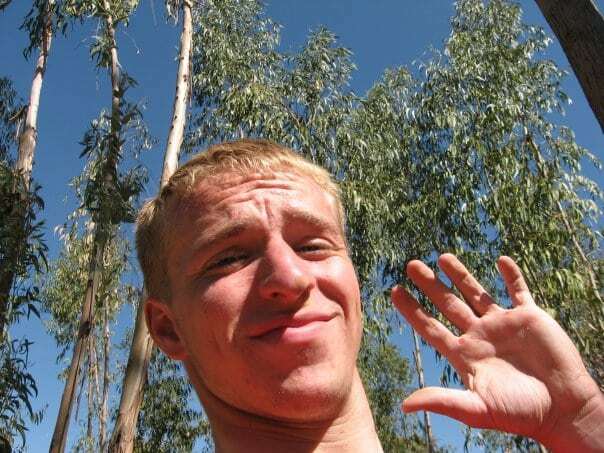 In my opinion one of the biggest reasons that missionary companionships have problems is because of a lack of communication. You are with your companion nearly 24 hours a day – this is probably more time then you will spend your eventual husband or wife – so you are definitely going to notice things that may bother you. Of course there are things that are so small that you can probably just ignore it without any noticeable problems, however, in many cases the worst thing you can do is just silently ignore the issue. Chances are that your companion doesn’t even realize that what he or she is doing is bothering you. For example, I had a companion during my mission that I got along with for the first few weeks without any issues, but after a couple of weeks he started to say things that really bothered me. One thing was the offhand comments that he would make about the United States and Americans. At first I just kind of laughed it off, and let it go, but after a couple of weeks of this, one day I just kind of exploded at him and we really had a pretty big argument. During that time, the Spirit was not present and we were not able to work together. We realized that and after we talked about it I realized that he really didn’t know that what he was saying bothered me, because I didn’t tell him it did. If I had just let him know from the first comment that he made that I didn’t appreciate what he was saying, we could have avoided those extremely uncomfortable weeks. By not communicating, you are letting things get worse, and in many cases you may begin to resent your companion – don’t let that happen. Keep things out in the open and work together to make sure that you have the Spirit with you. This section is similar to the above. While it is important to let your companion know if something that they are doing is bothering you, it is equally as important to look inside yourself and determine if there is anything that you are doing that is harming your relationship with your companion. During my second transfer on my mission in Bolivia, I had a companion who was very shy. He was the senior companion, but I always was the one talking (or trying to) during the lessons. I felt like he wasn’t helping and it was frustrating to me, because I was still so new in the mission. I tried to talk to him during the day and get him to open up, but he wasn’t able to. It got to the point that I was extremely frustrated and I would avoid talking to him and would try to make him take some initiative and actually act like the senior companion. One day, when we hadn’t spoken for quite awhile and we were at home, I was really frustrated and I even remember writing in my journal how I didn’t know how much longer I could keep going. At that time, I opened up my scriptures and turned right to 1 Corinthians 13:11 which says, “When I was a child, I spake as a child, I understood as a child, I thought as a child: but when I became a man, I put away childish things.” I didn’t even read anything else in that chapter and I didn’t really care about the context – but in that moment I had an unmistakable feeling of guilt, knowing that I had been acting as a child, when I should have been acting as a representative of Jesus Christ. I realized that by not talking to my companion and holding a grudge, I was not putting away childish things. After that I apologized to my companion and told him that I really wanted us to work on our relationship and from that point on thing improved between us and with the people we were teaching. Please look for your own flaws, and do what you can to improve. No one is perfect, but if you can admit that you are contributing to any problems that you may have with your companion, it will be easier to fix it. One thing that I always thought while I was on my mission was that the days felt like weeks, but the weeks felt like days – meaning that sometimes the days seems to go on forever, but it seemed like every time I woke up another week had passed. A mission is difficult – physically, emotionally, and spiritually. You have to be able to pace yourself so that you don’t get burned out. I was a big proponent of taking small breaks during the day to sit down on a bench or in a taxi and just relax, think about what I had done during the day and what we had left to do. I understand the importance of making contacts with people whenever possible, but I also found that if I didn’t take short breaks to regain my composure, I got overwhelmed and stressed out. These short breaks helped me to refocus and to stay strong throughout the day. I understand the importance of tracking numbers and growth within the mission and the Church. That being said, when you focus so much on numbers, it is easy to forget the people that those numbers represent. There were weeks in my mission where we fell well short of our goal for lessons, but in which we found two or three families that were “golden,” and in which we knocked hundreds of doors. Still, at the end of the week when reporting our numbers, I often would feel that our efforts were inadequate because we were not able to meet our goal for teaching lessons. On the other hand, there were weeks when we taught 30 or 40 lessons, met all of our goals for contacts, but didn’t have a single lesson that was even memorable. While it felt nice to report such good numbers at the end of the week, the feeling was hollow, because there was really nothing to show. I found that when I focused on building relationships with our investigators and focusing on the individual people, I always felt better about what I was doing. Many times in your mission you may feel like you have to rush an investigator to get baptized – I know, because I did it at times. I was so focused at times on getting my name in the mission newsletter for highest number of baptisms, that I didn’t even realize that many of the people I had baptized earlier were already inactive. 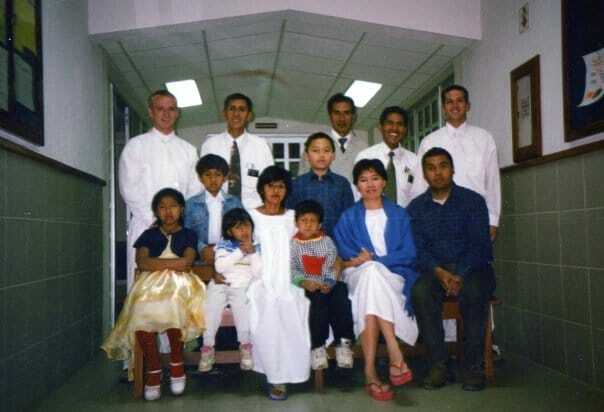 About 3/4 of the way through my mission I realized that there were only a handful of people that I had baptized that were still going to church on a regular basis. This realization crushed me, and from that point on I made it a goal to help activate as many less active members of the Church as possible. I also was determined to make sure that anyone I baptized was 100% prepared to make the covenant that they were preparing for. When I started focusing on people rather than on numbers, I was able to better feel the Spirit and help people in the best way possible. For some reason when I started my mission I wasn’t aware that missionaries had an allotted amount of time per week that they had to be doing service. In my first area, and on my second day, my companion said something to me in Spanish that I didn’t understand at all – we were going somewhere to do something, but I had no idea what. When we got there, I realized that we were doing service. We arrived at a member’s home and right away all of the sisters and elders from my zone began working to clear away rocks, trash, and other debris from the home. It was hard work, but I really enjoyed it. Doing service while you are on your mission is so important. When people who wouldn’t normally open up to you see that you are there to help, many times they will express their gratitude and even let you come back to talk about the Church. While there are set times during the week where missionaries have to do some sort of service (at least there was at that time in my mission), that doesn’t mean that you should limit your service to that time. There were many times when we were walking through the street contacting people when we would be presented with an opportunity to serve. One example that I remember was in one of my last areas in the mission. We were walking along side a main road near the town, and there was a man in the middle of the street standing beside his car. He seemed distraught and cars just kept zipping by him. After my companion and I determined it was safe to go into the street, we approached the man and asked if we could help. He told us that his car had broken down and he had no way to get it to his house, which he said was really close. In Bolivia, the chances of getting roadside assistance from a police officer or a company is about zero, so if no one were to help him, his car would be stranded there for quite some time. We decided to help this man push his car to his home. We thought it would just be a couple of blocks, but we actually ended up pushing it for over a mile. By the time we were done, we were exhausted and about ready to pass out in front of his house. The man was so grateful, and he even let us teach him about the gospel. I don’t believe that we ever had another appointment with him, but I know that he remembered us and that his feelings about the Church changed that day. If you search out opportunities to serve, you will find them, and the feeling that you will get will be worth any amount of exhaustion or pain that comes as a result. I had the most amazing mission president that I could have asked for. By the end of my mission I truly thought of him as a second father. He was always willing to listen and help us whenever we had a problem or a question. I learned to lean on him and to rely on him. I knew that he was called by God to lead the mission and that every decision that he made was inspired. Near the beginning of my mission there were times when I didn’t think I could keep going, but every time that I had an interview with him, I left with a sense of duty and responsibility, and knowing that I was not alone. I would encourage you to do the same – Mission presidents are there to serve as well, and if you lean on them and trust in them completely, you will see miracles. In this world of Facebook and other social media sites, it is a lot easier to stay in contact with people from your mission. That being said, there are parts of the world where Facebook is not as common (hard to believe, I know). I wrote down every person that I baptized’s name and I had email addresses for many of them, but for the most part I have had a hard time getting in contact with many of them. I would recommend getting contact information for any person that you think you might want to stay in contact with after your mission – you will grow to love the people that you come in contact with, and when you can’t contact them after your mission it can be really frustrating and sad. The fact that this tip is near the end of this post should not in any way diminish its importance. Obedience is such an important principle when you are a missionary and it will protect you from harmful situations. There are rules that you may not understand, but that doesn’t mean that you should obey them. Mission Presidents receive revelation and guidance on how to best protect the missionaries and move the work forward. It only takes one lapse in judgment to make a mistake or to go down the wrong path – it is best not to even risk it. I cannot emphasize this enough. There is no way that I can prepare you for everything that will happen while you are on your mission. You will have to learn many things through your own personal experience. 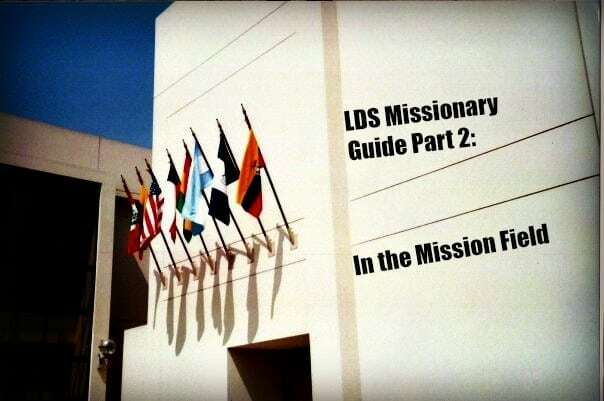 That being said, I wish that I had know a little bit more about what really happens on a mission before I left, so I truly hope that some of these tips and advice are helpful!